Last year, with the implementation of GST, prices were increased by Rs 5 to Rs 25. 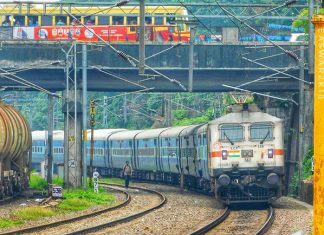 With the centre reducing GST rates, Indian Railway Catering and Tourism Corporation (IRCTC) has slashed prices of rail meals by Rs 3 to Rs 10. The new prices came into effect from Monday (April 9). 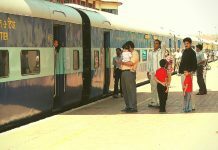 The reports indicated that catering charges on premium trains would also be reduced by Rs 40 to Rs 60, depending on the class of travel and distance. The new prices would also alter the ticket fares in premium trains which were collecting 18% GST on catering charges. “Catering charges and GST are collected along with ticket fare in premium trains. 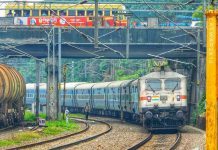 Since GST on catering charges has been reduced to five percent, the ticket fare may get reduced by Rs 20 to Rs 60 a ticket depending upon the class of travel and distance. 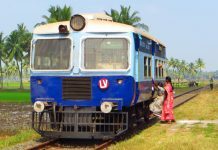 It will be implemented from April 16,” the railway board order said. 1. Vada Pav – 19 Rs (Old 22 Rs). 2. Egg Biryani – 61 Rs (Old 69 Rs). 3. Chicken Biryani – 89 Rs (Old 100 Rs). 4. Masala Dosa – 18 Rs (Old 21 Rs). Prices of food items like curd rice, lemon rice, tamarind rice, veg noodles, soup, samosa, veg cutlet, masala and medu vadas have reduced by Rs 2 Rs 4 per unit and prices for food items like tea, coffee, Rail Neer (bottled water), standard breakfast, and Janta Meal (meal with seven pooris, potato dry curry and pickle), would remain unchanged since they do not come under the ambit of GST. Earlier in 2017, the Railways has introduced a new catering policy separating its cooking and onboard food distribution sections. 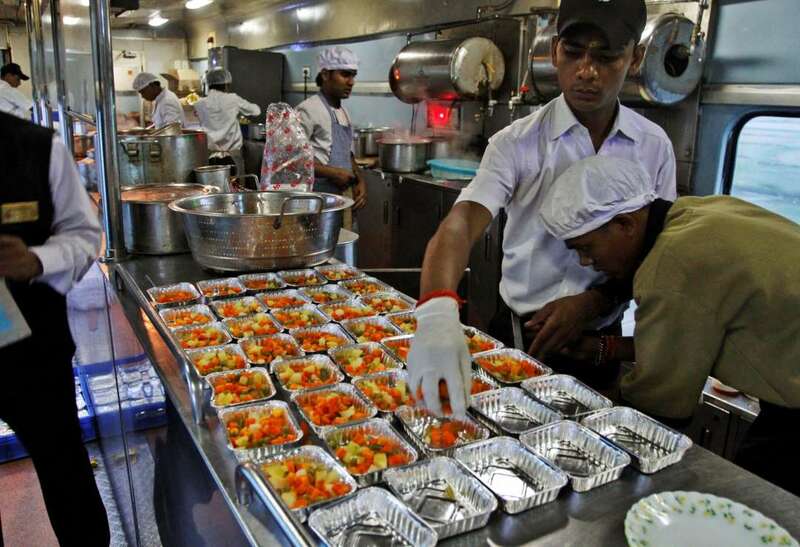 It was after 7 years that Railways had given back onboard catering responsibilities to IRCTC for the majority of trains. 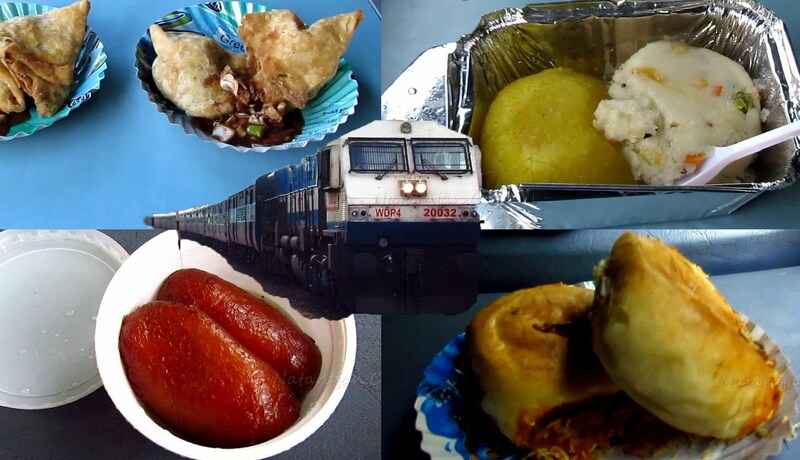 Many commuters had complained about the quality of food and catering services of railways.